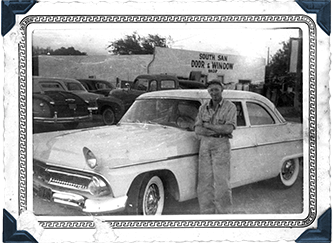 Serving San Antonio Area-Since 1955! 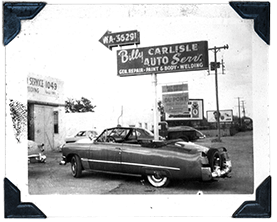 Your vehicle can use a service appointment with Carlisle Air Automotive in San Antonio, TX, no matter what you’re driving. Our team of ASE Certified technicians has a menu of full-service repairs for all makes and models of vehicles. 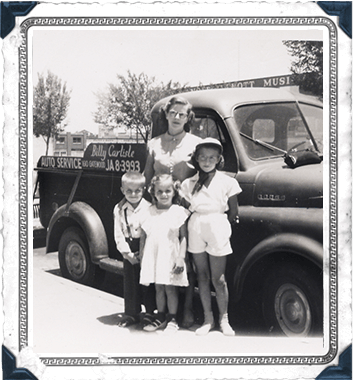 We’ve been serving the San Antonio area since 1955, safely getting vehicles and drivers back on the road. Our customers can depend on our service expertise for all maintenance and repair services. We know that you have options for your auto services and it takes more than service expertise and advanced technologies. It takes top-of-the-line customer service and care. Customers keep coming back to us because we treat them like family and their vehicles like our very own. They’ve come to trust us as the do-it-all experts with warm and inviting smiles. Bring us any questions, concerns, or repair needs and we’ll have your vehicle fixed up in no time. We go above and beyond to meet and exceed your expectations. From routine oil changes to complex engine replacements, we have you covered. Every visit starts with a warm and inviting smile, followed by a complete and thorough diagnosis. Come to us first to get your vehicle’s repairs and maintenance done right. We’re here to make sure your road travel is as comfortable as possible, and that includes a comfortable air temperature. Your vehicle’s cabin climate is handled by our automotive A/C or heating service experts. We’ll analyze your air conditioning system Be prepared for every season by coming to our shop. Carlisle Air Automotive is your go-to repair facility for all repairs and maintenance–engine systems, mechanical systems, electrical systems. We use state-of-the-art technology for all services to foreign and domestic vehicles. 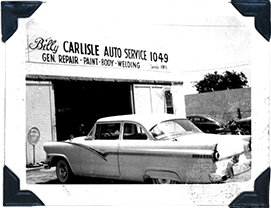 We’re San Antonio’s best auto repair and A/C service facility--Carlisle Air Automotive! You can ensure your vehicle’s quality road performance and overall comfort by visiting our shop today. As soon as you have an engine malfunction or air conditioning failure, we should be the first shop you think of. We’re a full-service facility that specializes in A/C repairs. Our techs extend your vehicle’s road-life, giving you the greatest return on your investment in quality road travel. Give us a call at one of our two convenient locations--North San Antonio (210) 558-1020 or South San Antonio (210) 922-5991--to schedule an auto service appointment. We can handle any problems with your vehicle’s performance or air quality using top-of-the-line tools and equipment. Troy listened to what I needed, explained the repairs that needed to be made to my ac compressor, dryer and condenser and gave me a competitive price. I appreciate the 2 year warranty on Carlisle's work but feel pretty confident I won't need to use it!